We had a beautiful drive on Saturday morning. 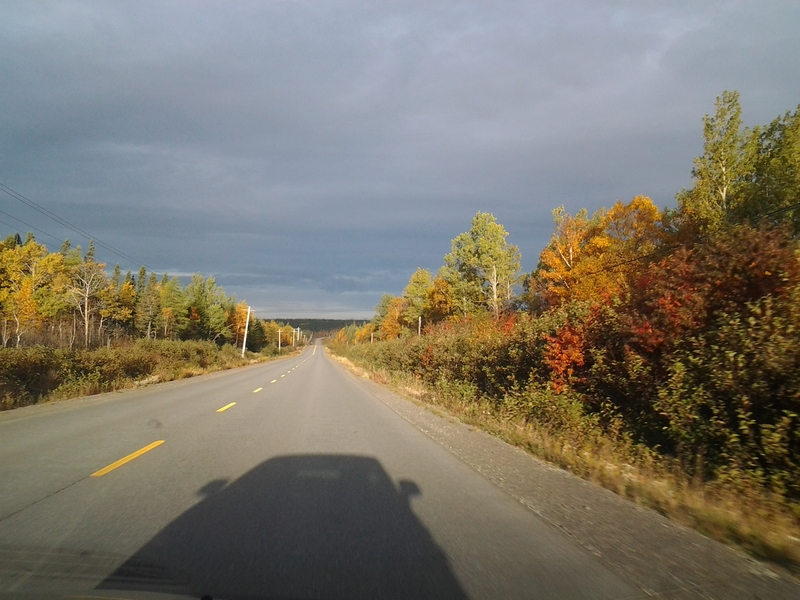 The autumn leaves were spectacular between Gander and Farewell where we parked our car for the weekend. 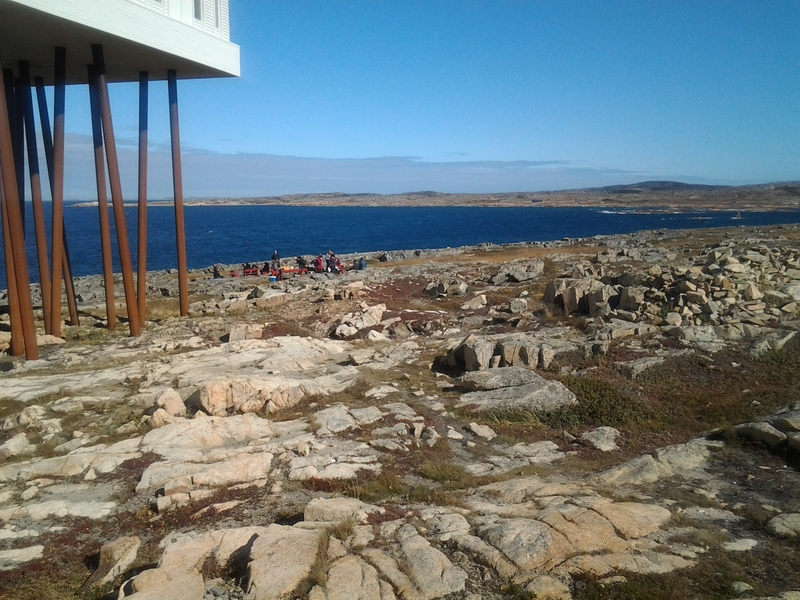 We were picked up at the ferry in Man O’War Cove and whisked to the beautiful Fogo Island Inn. 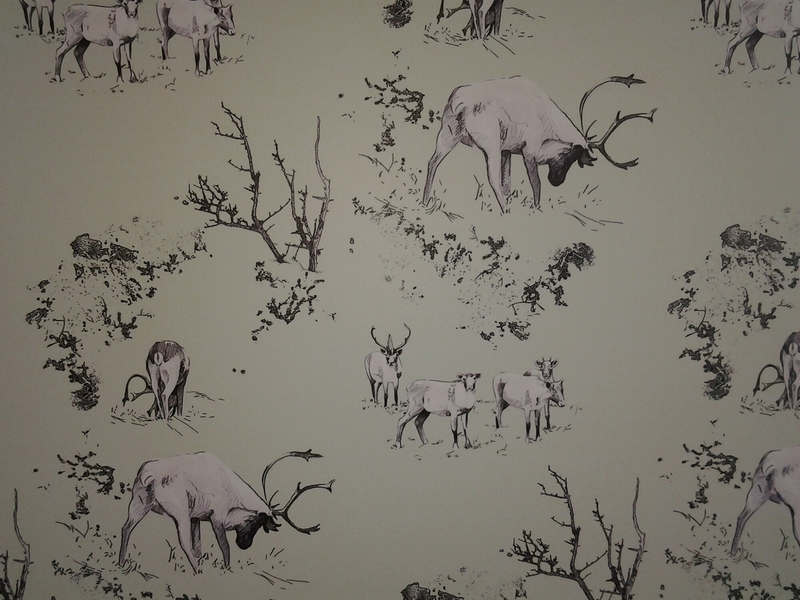 The rocker and caribou design wall paper are my favorite features of this room. 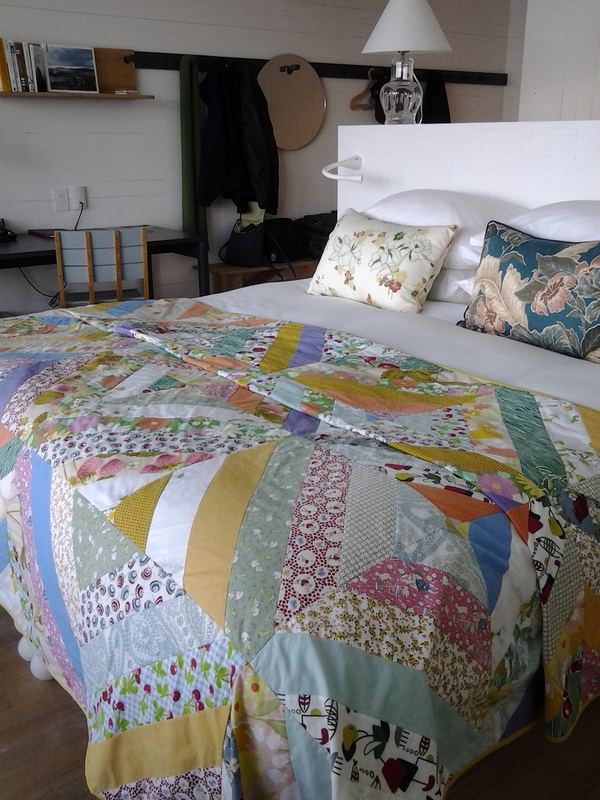 A beautiful quilt covers the locally made king sized bed. Room 13 of the Fogo Island Inn. Thank you Sadie Edwards. You do great work! I love the diverse patterns in the fabrics for this quilt. 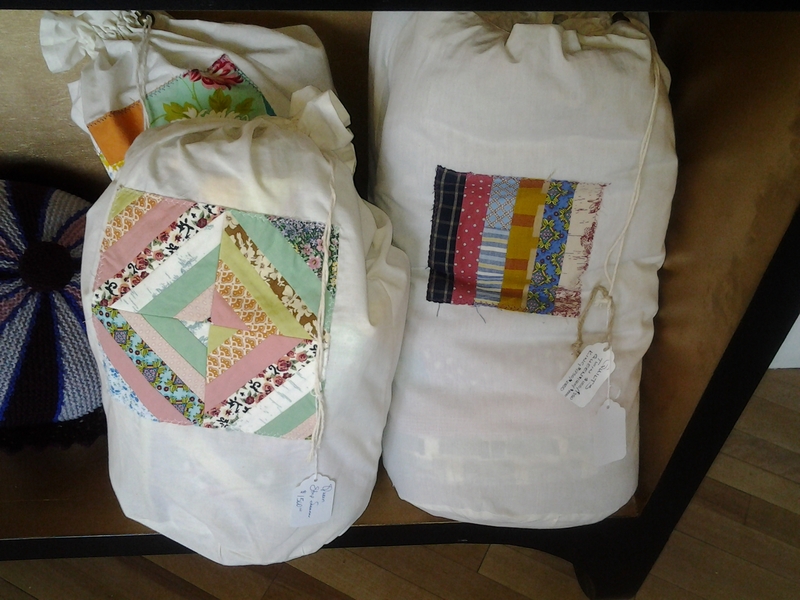 Quilts are ready to go in duffle bags with a sample patch on the side. 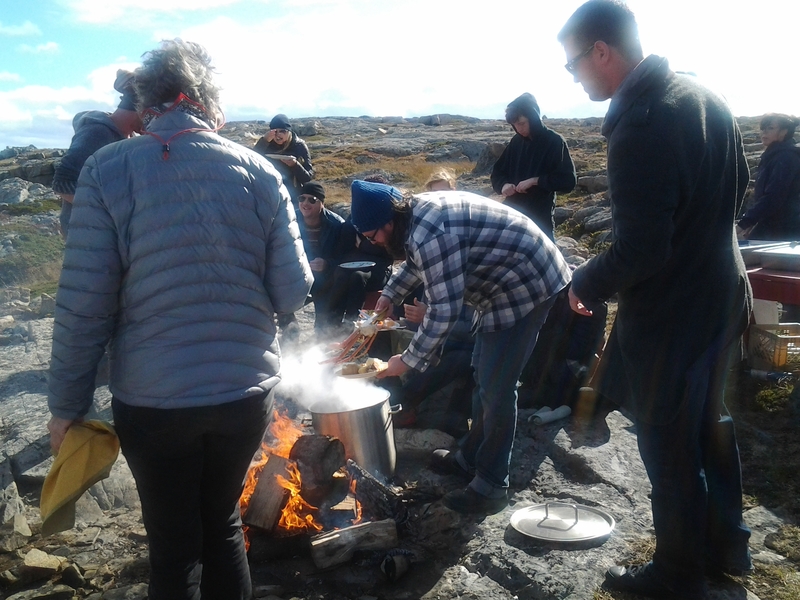 Inn guests can take or order a bit of Fogo or Change Islands handy work to keep them warm in those big old cities. 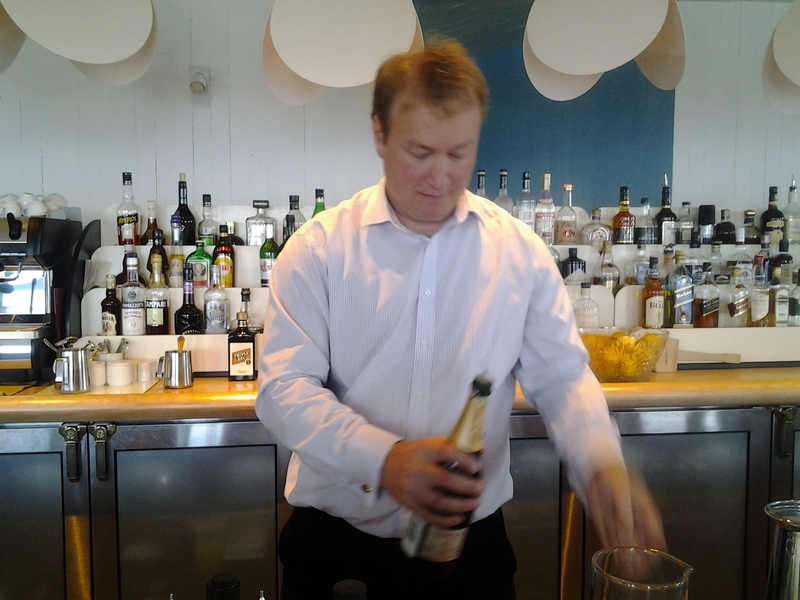 Trevor welcomes us with a glass of something bubbly. Our first meal of the weekend was a boil up. A traditional meal cooked outdoors in winter or summer, when berry picking, hunting or working in the woods. Everything tasted even better in the crisp October wind. A number of fires were lit to form seating and greeting areas for guests. 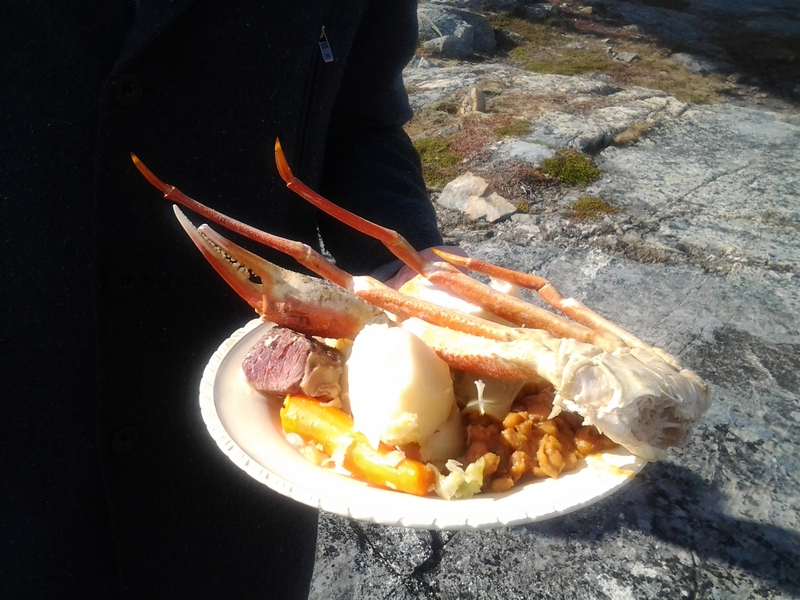 A huge pot of crab was added to the traditional fixings as well as a cast iron pot of baked beans. 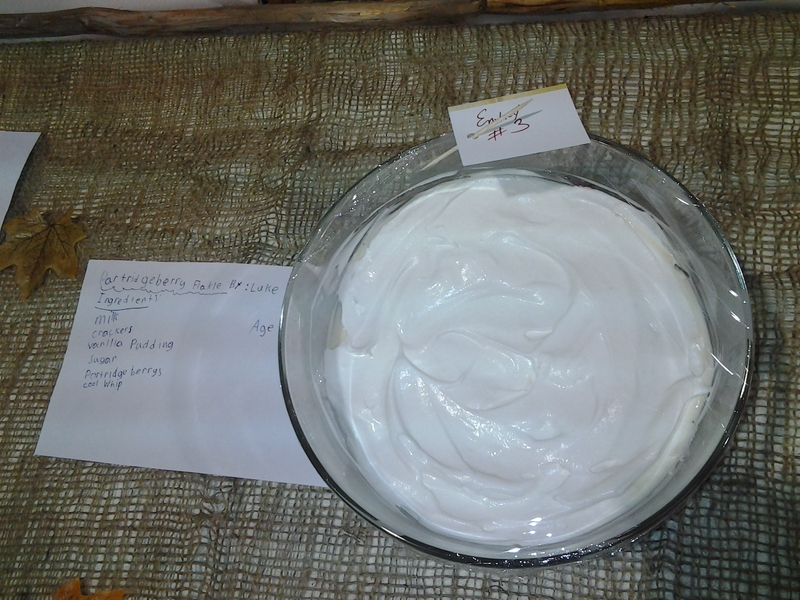 Over zealous, I forgot to take a picture of my plate but it looked much like this. Benches and chairs were moved from the Inn to the fire side. Groups of guests ate and marvelled. Many, like ourselves had only arrived and were in awe of the ocean and rocks and food. 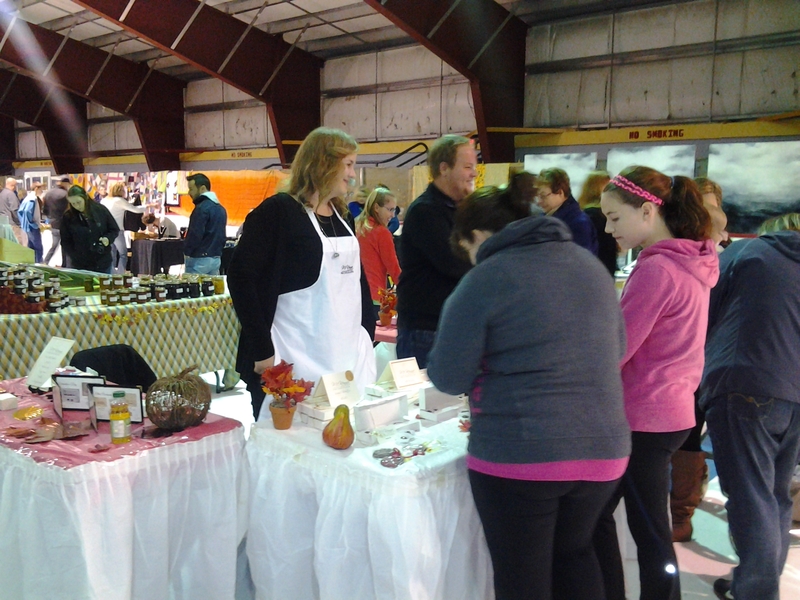 We headed to the Partridgeberry Harvest Festival at the Iceberg Arena. We arrived just in time to see the house ‘launching’ (pronounced “lanching” like “ranching”). 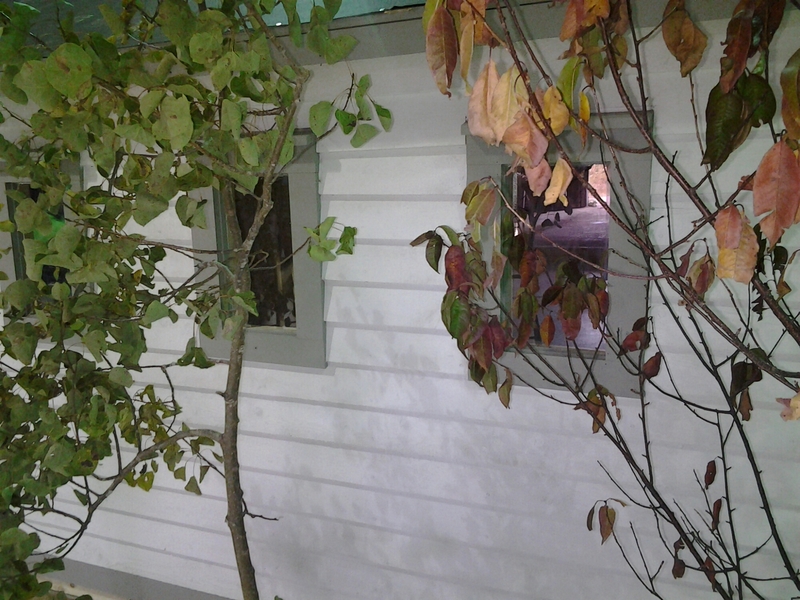 The house was constructed behind the school. 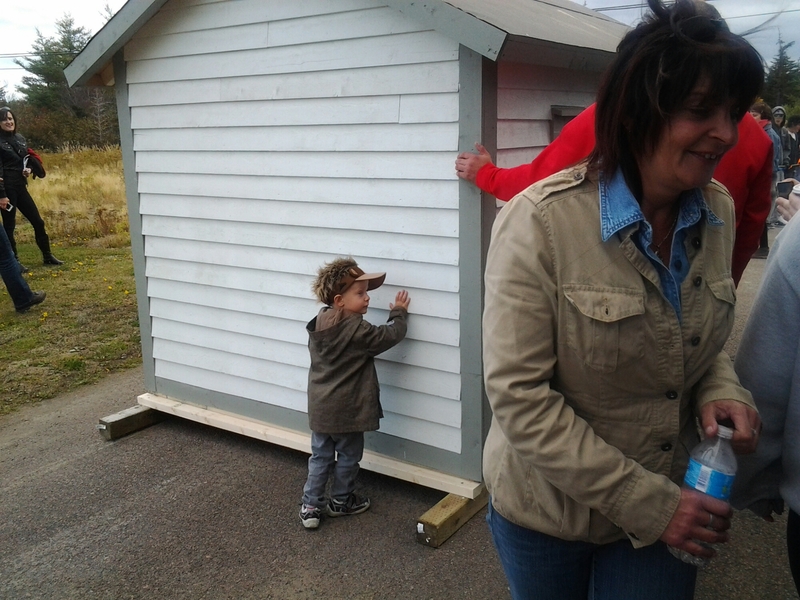 Part of a project by artist Nicole Lattuca the miniature school house was moved in the traditional way on logs. 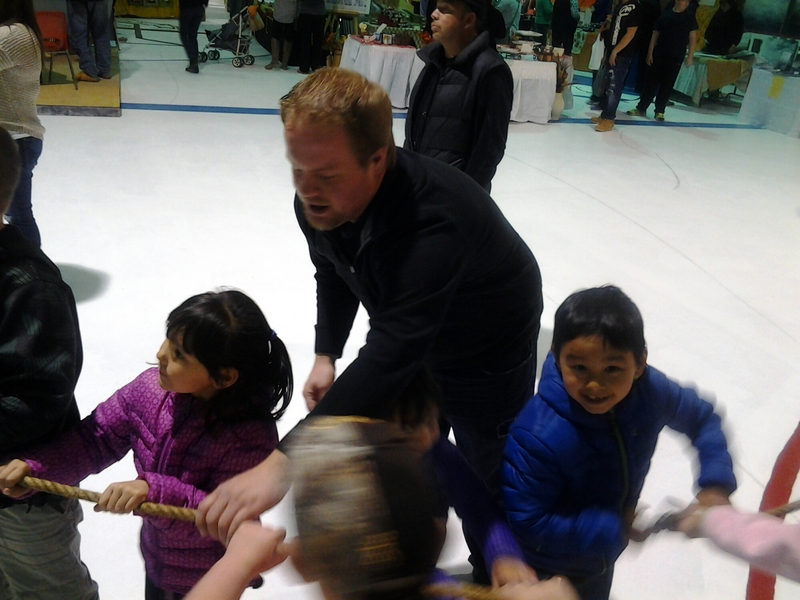 Children from the Island were in the anchor position on the rope and helped to haul the house to the stadium. 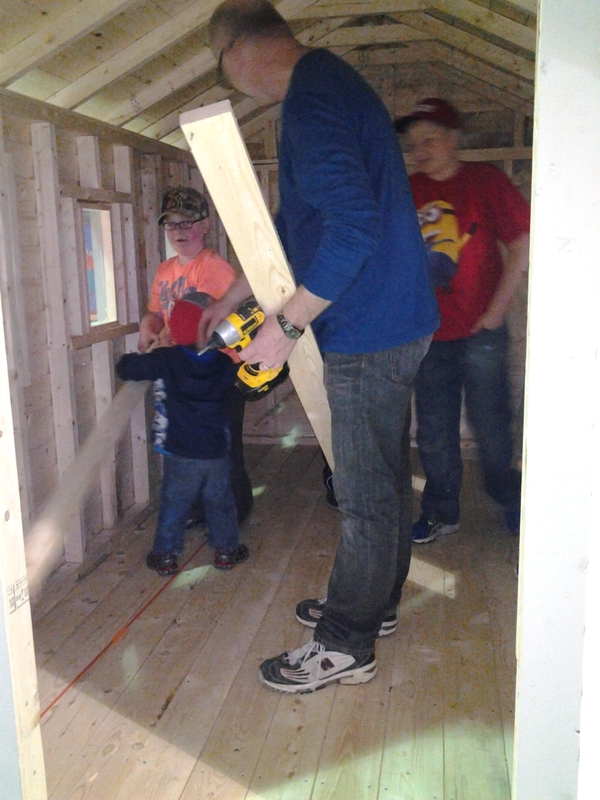 Many hands, no matter how small, make light work. Families pulled together when the school house was coming into the stadium. For years I have been hearing about the Jolly Poker, a shanty sung to keep men working in unison when hauling a boat or launching a house. Greg Foley sang the Poker as the school house entered the festival. 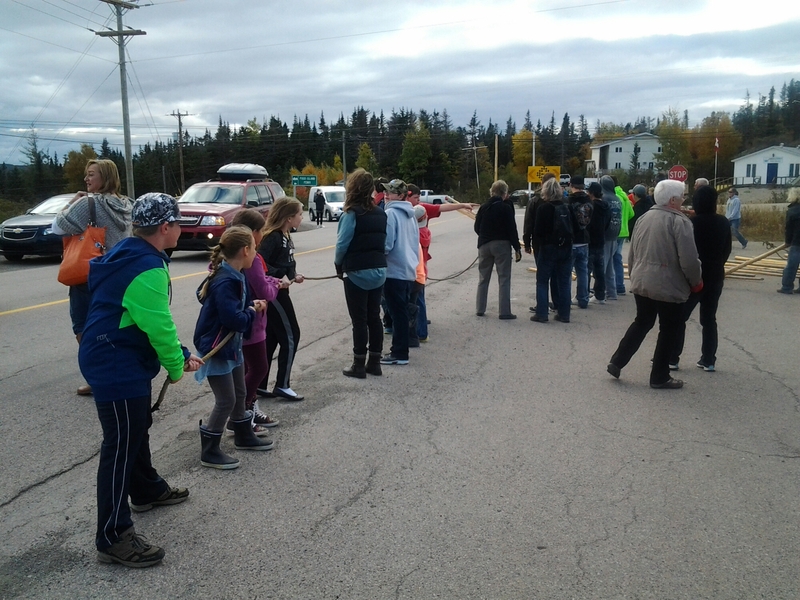 Once in the stadium, there was not enough room for the long rope to pull forward, so a block and tackle enabled the adults to pull back toward the approaching building. One final inspection by the children. 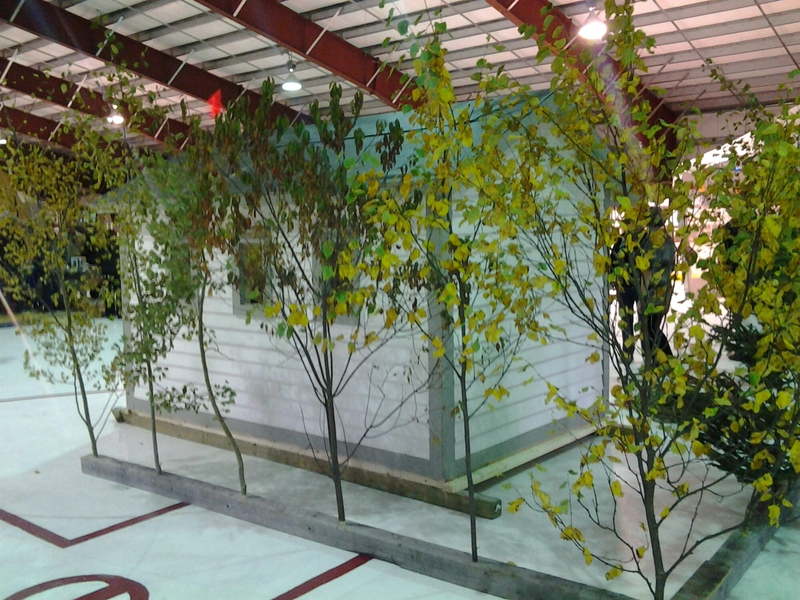 The stadium is well decorated for the festival and one display was rearranged immediately to landscape the school house. Immediately it looked like it just belonged. 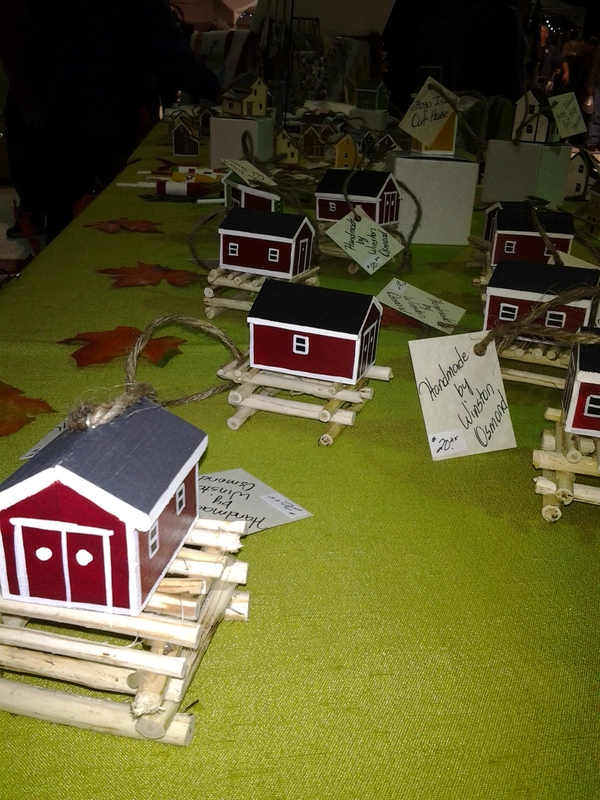 The quality of crafts at the Partridgeberry Harvest Festival are of the best quality. 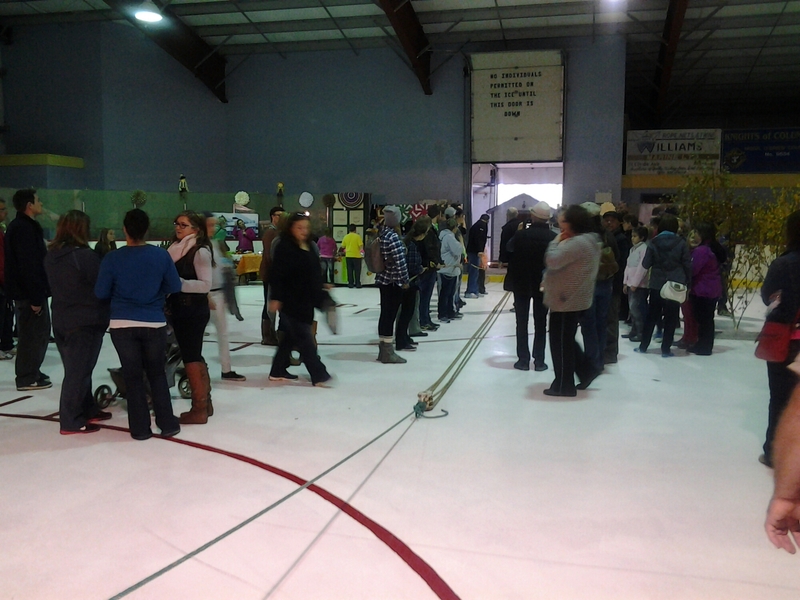 There is a competition at the festival but also many booths featuring individuals. The Winds and Waves Artisan Guild had a beautiful exhibit. 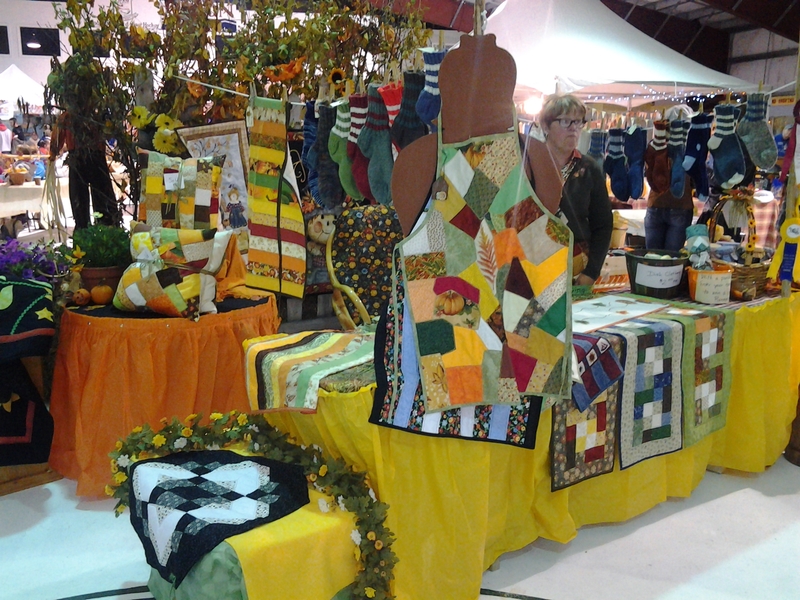 Quality quilting by Eileen Osmond. 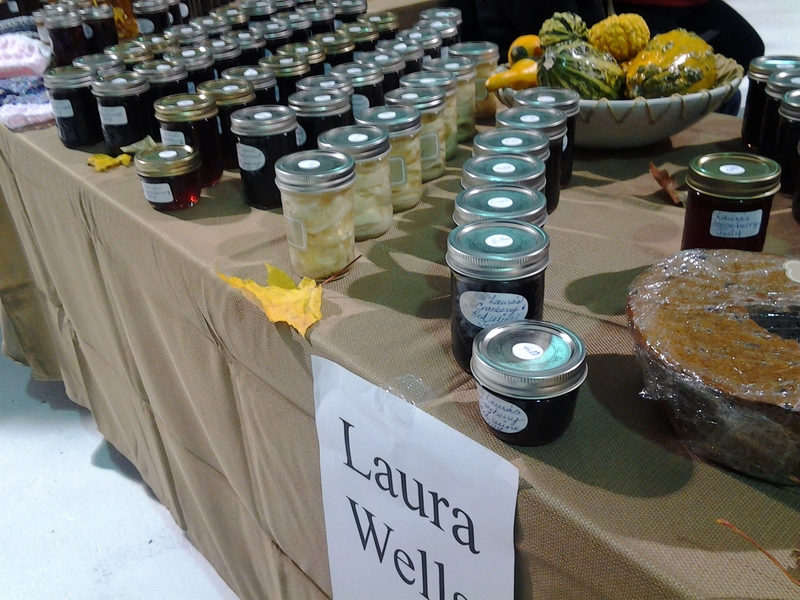 Laura Wells does an amazing display of every imaginable berry preserve. 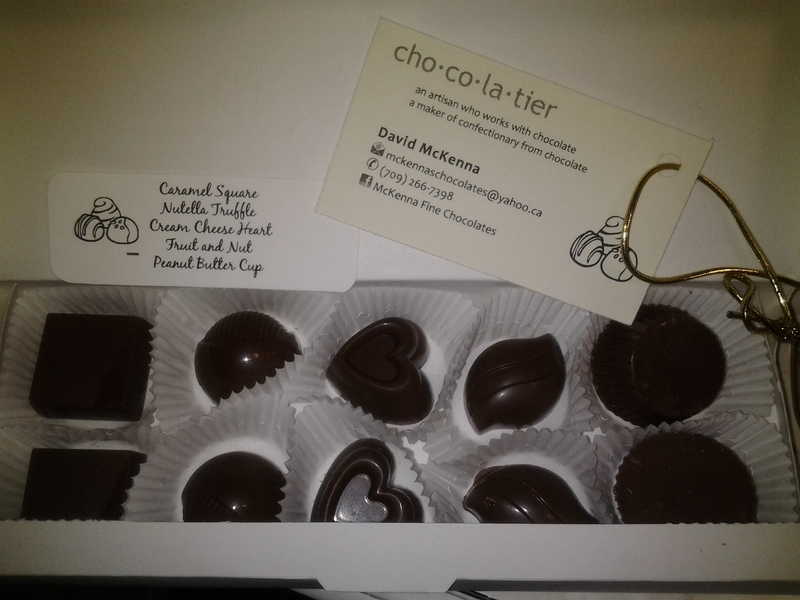 McKenna’s Fine Chocolates were a great hit. They even did berry versions just for the festival. But I’m nuts for their luxury collection! 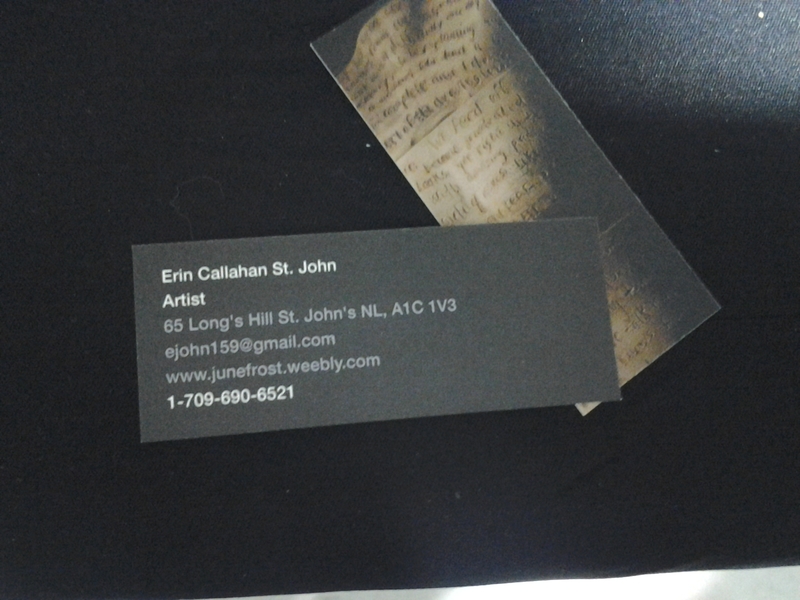 Erin Callahan St. John had great ceramic pins with Newfoundland expressions and lovely whiskey cups. Proper T’ing! 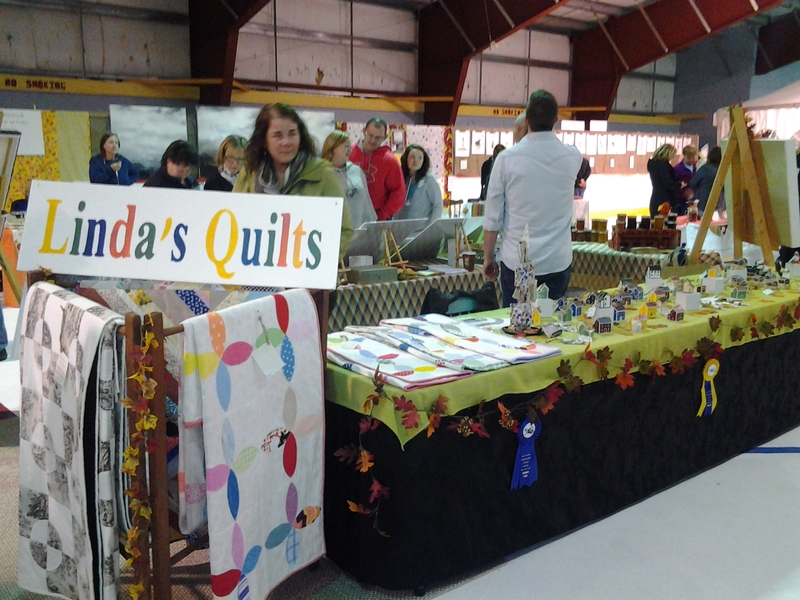 So many quality crafts people from near and far! 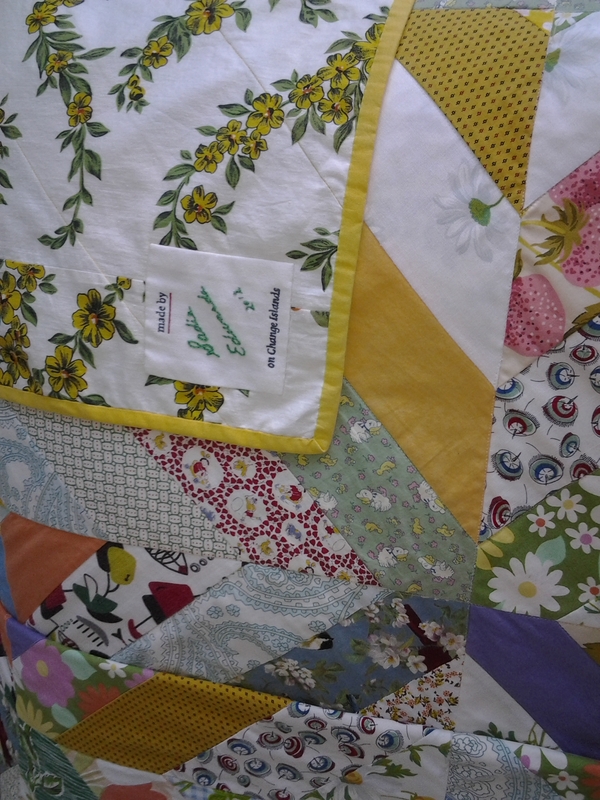 Linda’s makes very traditional quilts and have slept under a few at the Inn. Rob Peter to Pay Paul and Teaberry patterns here. 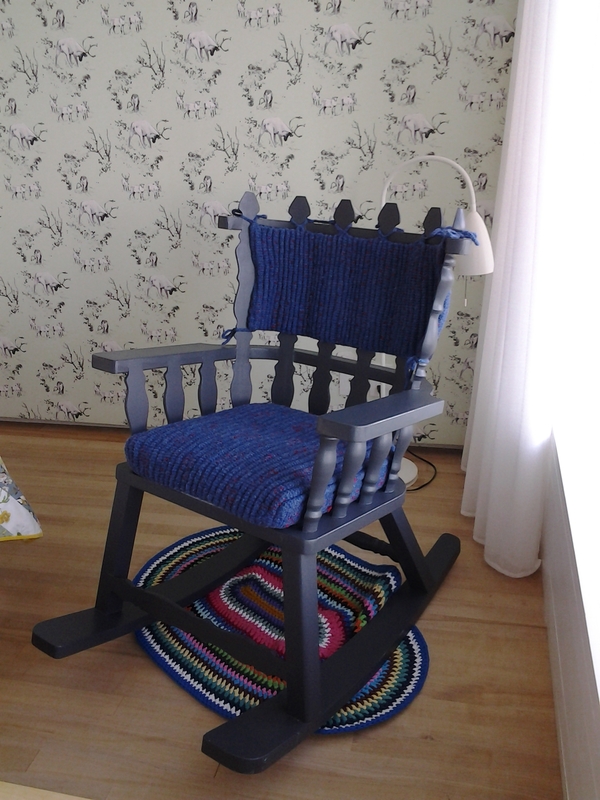 Winston Osmond is a crafter, a painter and a farmer. The man wears many hats. Another multi-hatted Osmond is Ross. 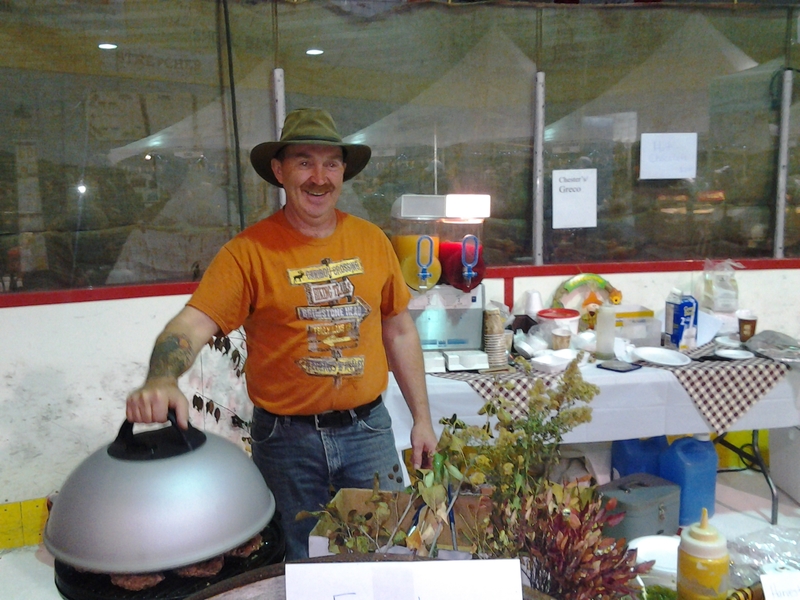 With is gas bar and restaurant just next door, he was busy cooking up burgers for the festival. 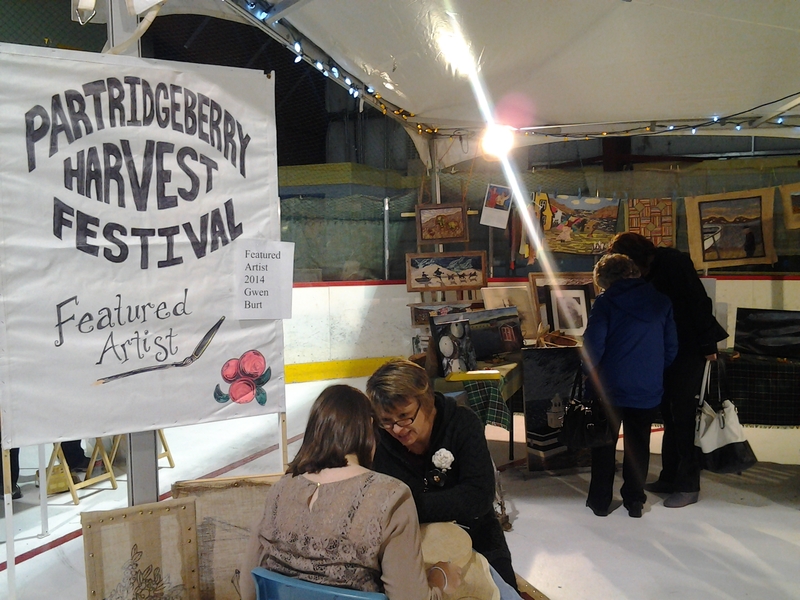 Partridgeberry Harvest Festival had a featured artist, Gwen Burt, who was showing visitors how to hook a mat. Gwen’s mats are amazing. 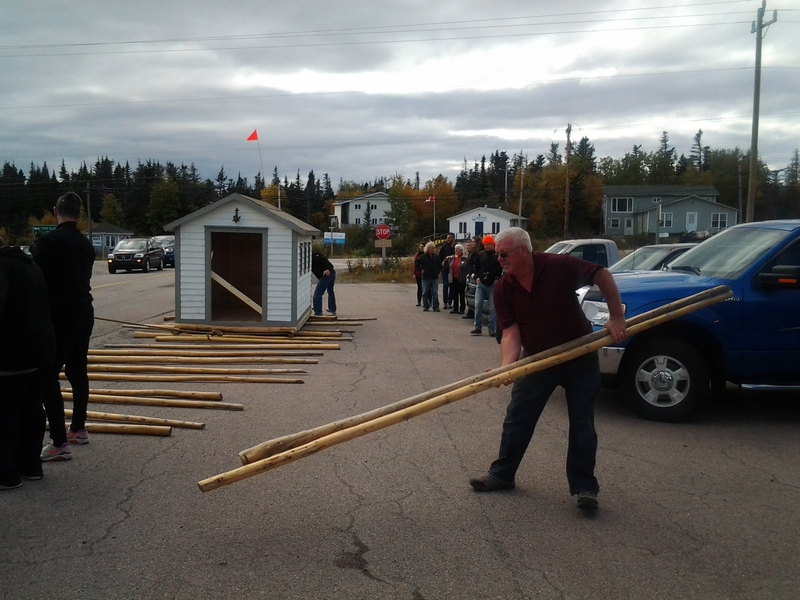 The sled dog is reminiscent of the Grenfell mats from St. Anthony. 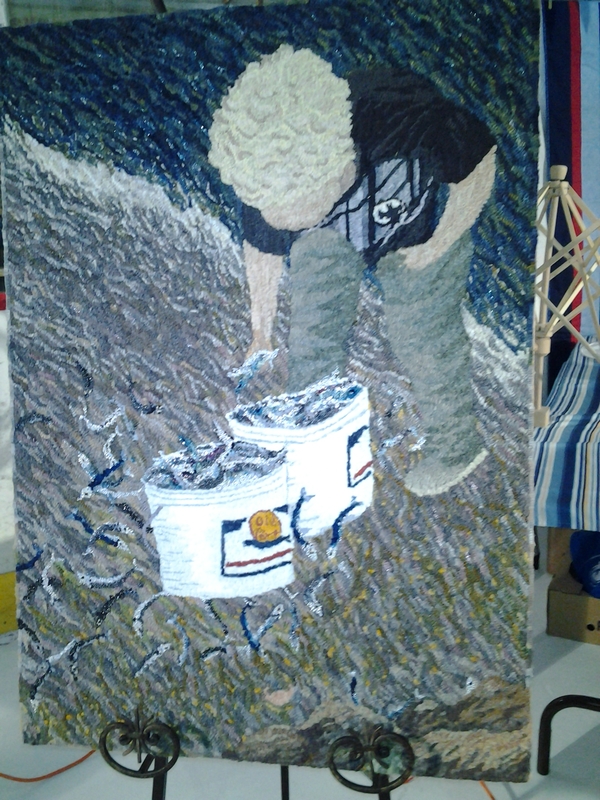 Each of her mats have a personal connection to the artist. 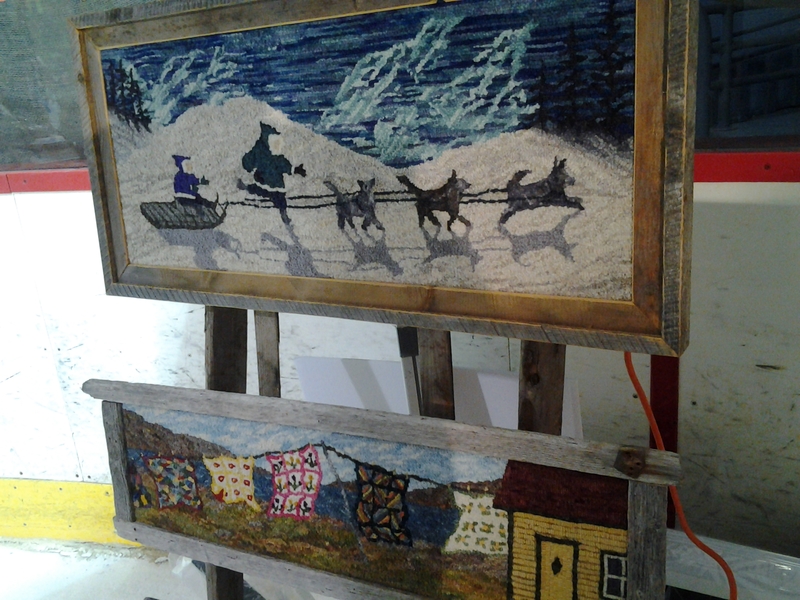 With both hooked designs and paintings, this was a beautiful display of Newfoundland tradition and culture. Metallic threads give the capelin in Gwen’s mat a luminescence. My favourite entry in the children’s bake off. Looks delicious Luke. 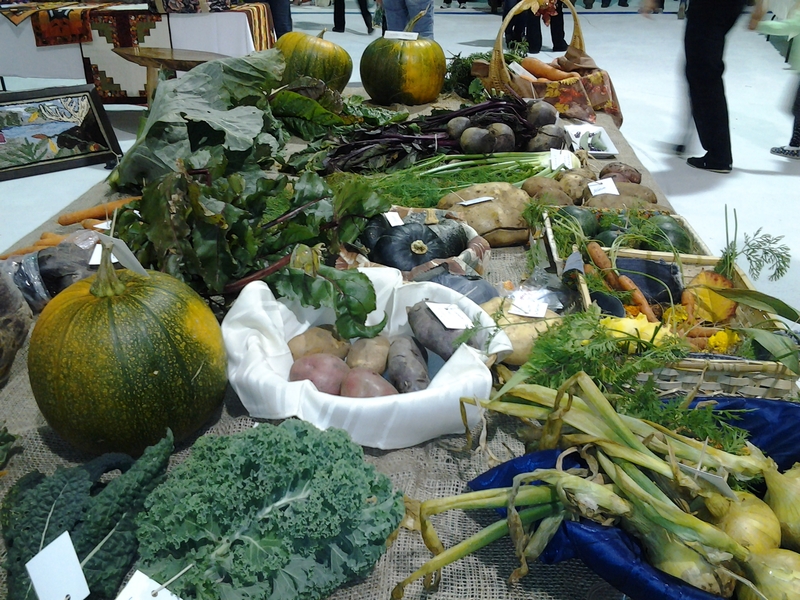 Local produce was entered in competition and for sale. 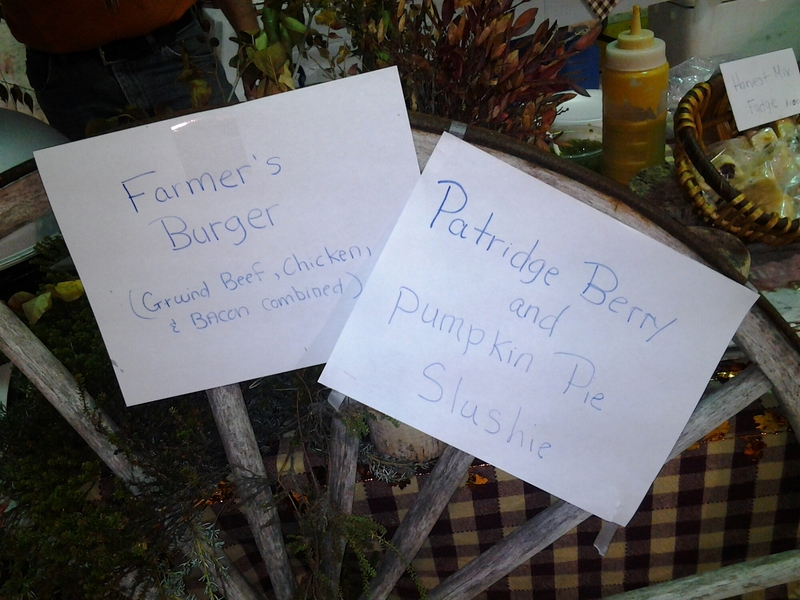 It was very tempting but we held off on the tastes of the festival and returned to the Inn. 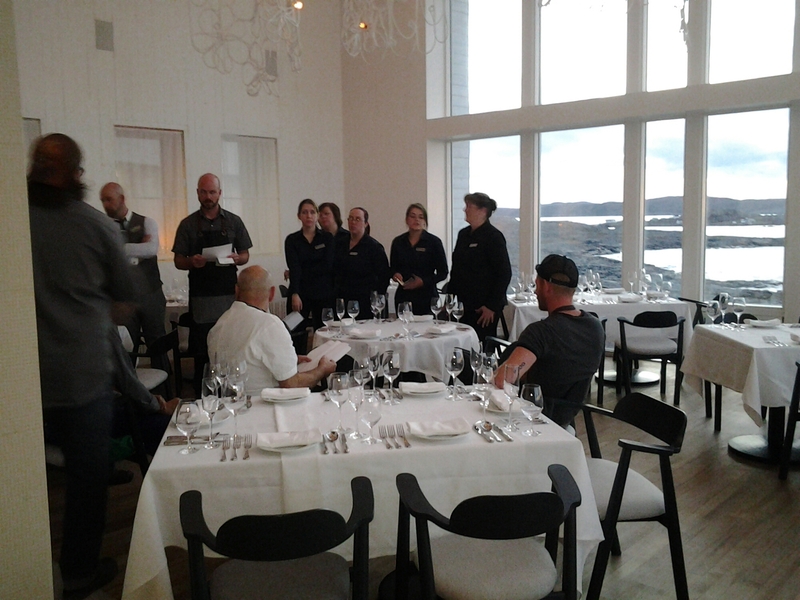 Front end staff was being briefed for the dinner service when we returned to the Fogo Island Inn. 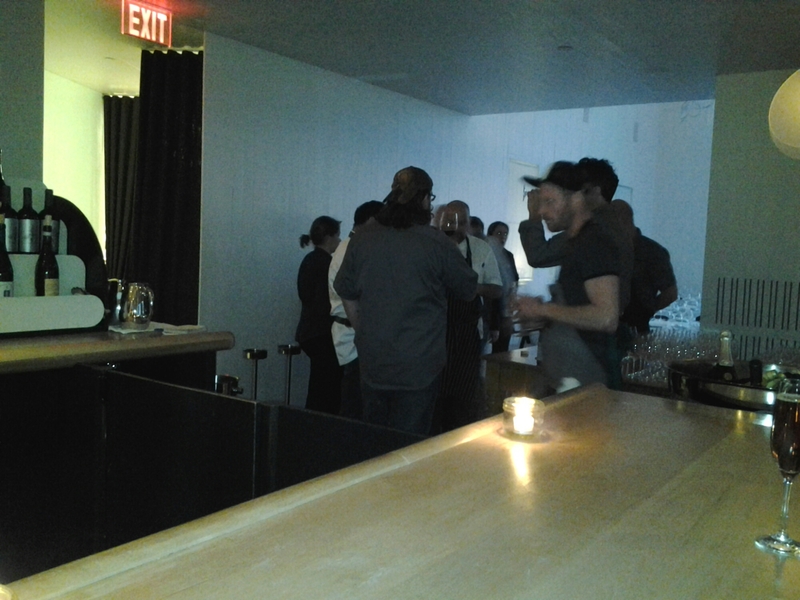 With 5 chefs in the house, every detail was important. 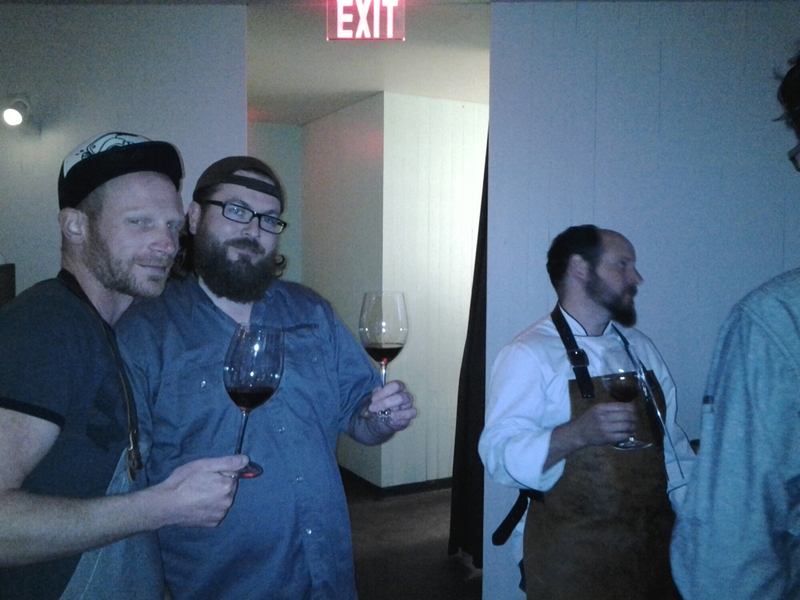 Chefs make sure the wine pairing is just right for the night. Stay tuned for part two. The Feast. 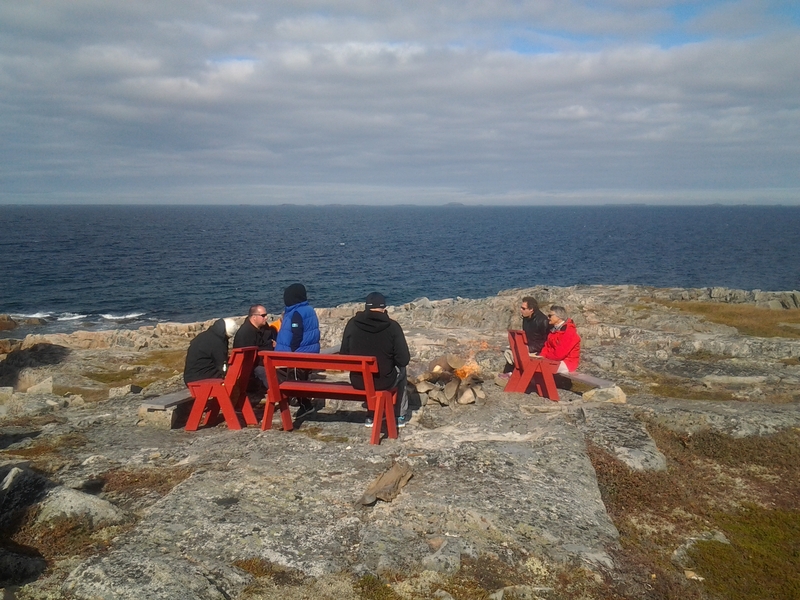 For more information about a the Fogo Island Inn search in this blog or my new blog Findfogoisland.com. So disappointed not to see the display of Sealskin products-another important and traditional craft in Newfoundland and Labrador ! Thanks for the feed back Vida. 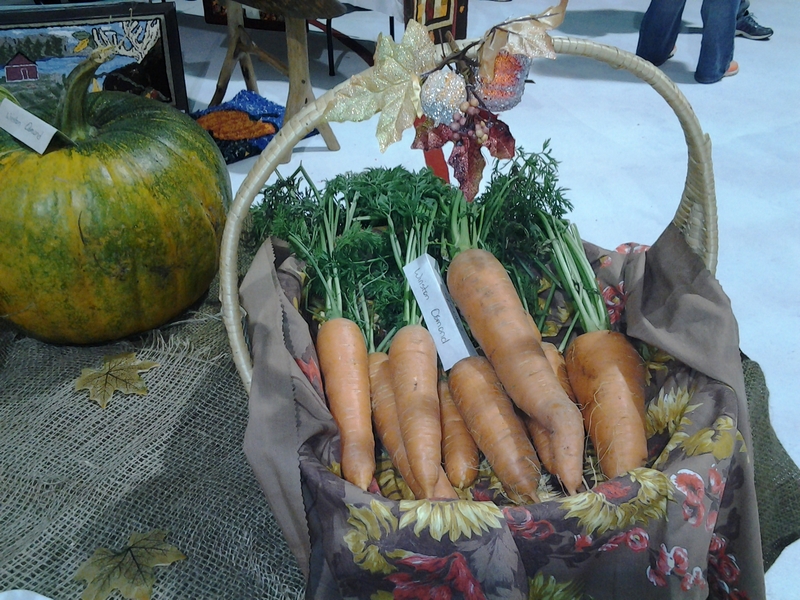 Some of my pictures did not turn out and some booths were hard to photograph due to the crowd around etc. If you search seal skin on the blog, there are a number of posts that mention or feature it as I’m a BIG fan and debated wearing my boots on the weekend just because I love my boots. 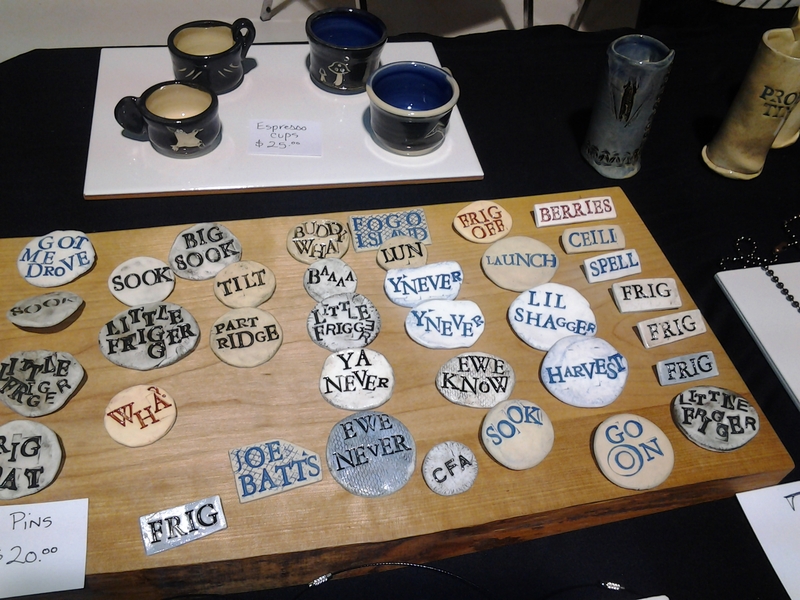 I also tried not to repeat too many booths although I loved seeing M’Liz Keefe’s paintings and Adam Young’s for examples and wanted to get a picture of the great new Flat Earth t shirts but couldn’t get a good shot. I did take pictures of great seal skin hats at the Guild but since the blog is my hobby and not a job, it takes a while to get things posted and sometimes things just don’t make it to the blog. I intend to do a post about the Guild but also want to share the chef experience too. 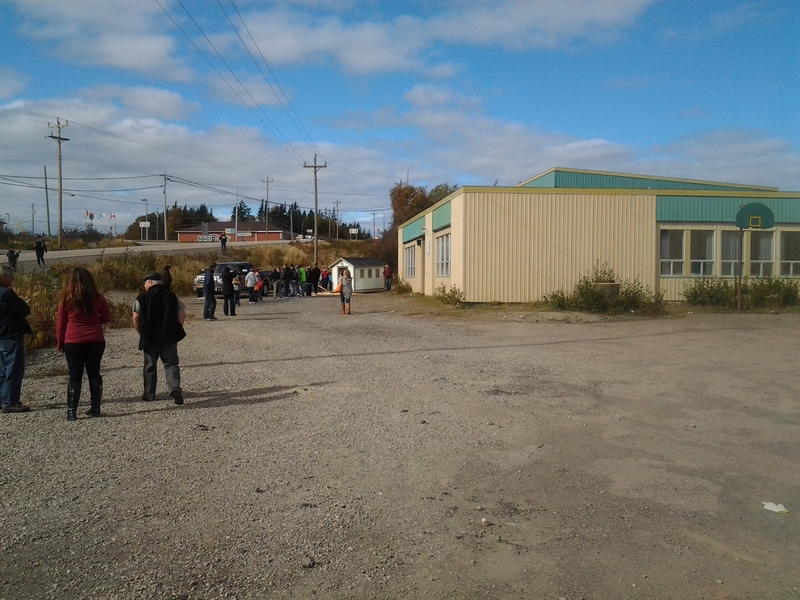 We visited the festival in Twillingate and there was also great seal skin there, at least two different groups but I didn’t blog about it. Too much fun, too little time. Search any time for seal skin to see if I get something else added on the topic and seal hunt might get different posts too. Thanks for reading!